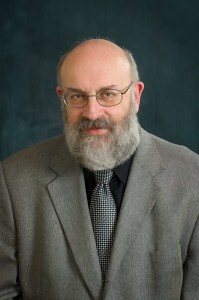 DR. EVERETT FOX is the Allen M. Glick Professor of Judaic and Biblical Studies at Clark University in Worcester, MA, where he also directs the Program in Jewish Studies. He trained at Brandeis University under scholars such as Nahum Glatzer and Nahum Sarna. He has been active in Jewish adult education for decades, through teaching in congregations across America and other English-speaking countries, through the Boston area’s Me’ah program, and teaching in over 35 CAJE conferences for Jewish educators. Dr. Fox is best known for his monumental translation, with notes and commentary, of The Five Books of Moses (Schocken Books, 1995), which received a glowing front-page review in the New York Times Book Review upon publication. He has recently (November 2014) followed this with his rendering of Joshua through Kings, The Early Prophets. Fox’s translations, which try to reflect the texture and language of the Hebrew original, have been extensively used in adult Torah study groups, and have also been successfully used to teach children 9 and older how to read texts, furthering his goal of helping the Jewish community to become more Jewishly literate. Dr. Fox has collaborated on a number of artistic projects over the years. Several of his books featured drawings by American-Israeli artist Ivan Schwebel, and his translation of the biblical Creation story recently served as the inspiration for a set of 32 stained glass windows at Temple Emanu-El in Closter, NJ. He also was a religious consultant for the animated DreamWorks film, The Prince of Egypt. He uses film and especially Renaissance and later art in many of his courses and lectures. In addition, classical music plays an important role in his thinking about texts and performance. Dr. Fox is married to educator Rabbi Cherie Koller-Fox; they have three adult children.